The days of driving to your local bank and applying for a small business loan are over. Karen Mills, the former head of the SBA, estimated that business owners, on average, spend 25 hours applying and sourcing loan offers. Financial technology has changed the way small businesses get funded, and created a plethora of resources to the business owner to understand their options and get funded quickly. Today, loan approval can happen in a matter of hours, with no more than 15 minutes of time exhausted from the business owner. We know you to be the expert on your business, but don’t expect you to be the expert on business funding. Our team will guide you through the process and bring loan offers to the table. Uncollateralized loans are more difficult to get, carry higher interest rates, and will a lower dollar amount than secured loans. By securing the loan with collateral, you will give the lender first claim on the assets in the case of a default. Each lender may value assets differently, as their value is tied to their ability to sell the asset to recoup their losses in the case of a default. The higher the value of the asset, the better terms you will get on the loan. Traditional and specialty lenders will commonly lend against specific assets – vehicles, equipment, real estate, and certain inventory items. When possible, collateralizing the loan with non-personal assets can improve cash flows by maximizing access to capital and minimizing the interest rate. Providing this information to our team help bring together specialty and creative lenders who would give higher valuations to assets, because they have they understand the reselling vertical of the collateralized assets. Most lenders will require more than 50% ownership of the company to sign for a loan, as they want to be sure they are lending to a group that has decision making authority within the business. If you are not the majority owner, be sure to get this information from your business partners. In a scenario in which you are the majority owner, it still may make sense to sign other business partners onto the loan, if their credit history is stronger than yours. The bigger their ownership share, the more weight this will carry. Lenders want to know that they will make their expected return on the loan. While they do not share equity ownership in your business, they are still financially vested in your success. If your business fails, their investment fails. Define a use of proceeds and highlight a clear path to why the funds will help grow your business. Don’t leave it to the banker to connect the dots of your business. Often the individual who you speak to will not be the banker who approves the loan – their boss will. Create an advocate at the bank for you, and give them selling points to why your business is creditworthy. Demonstrate a clear understanding of the use of funds and how it will drive growth. This will not only help increase your chances of approval, it will improve the terms of your loan as well. You can be creative with this option, and ultimately you are the only one who can know this. What’s your twist on the industry? Why are you succeeding relative to your competitors? This can include a unique business model, an unsaturated market, new application to an old technology, management expertise, or a past business investment that shows a similar use of funds being successful in providing the expected return. While you are applying for a loan for your business, your personal credit history will be taken into account. Go to CreditKarma and check your credit history to make sure everything checks out. It is common for there to mistakes that is dragging your credit score down substantially, and can be a hassle to get removed. When you start considering the need for a loan, be sure to check this early to give your credit score time to be corrected. An operating history of more than 2 years can significantly improve your odds of getting approved for a loan. Many small business owners look for financing when they are expanding their business. Some make the mistake of separating the expansion under a new legal entity. By keeping new ventures under the old entity, you are able to leverage the operating history of your existing business to secure financing for the new venture. Once the new venture has a 6 month or longer operating history, you can spin-off the new venture under a separate legal entity. Lenders want to feel confident that your business revenues are growing. The most recent bank statements are the most important. Rather than waiting for when you need the capital due to a lean month, plan ahead and secure the loan during your strongest month. This will improve your chances of approval and secure you the best terms possible. 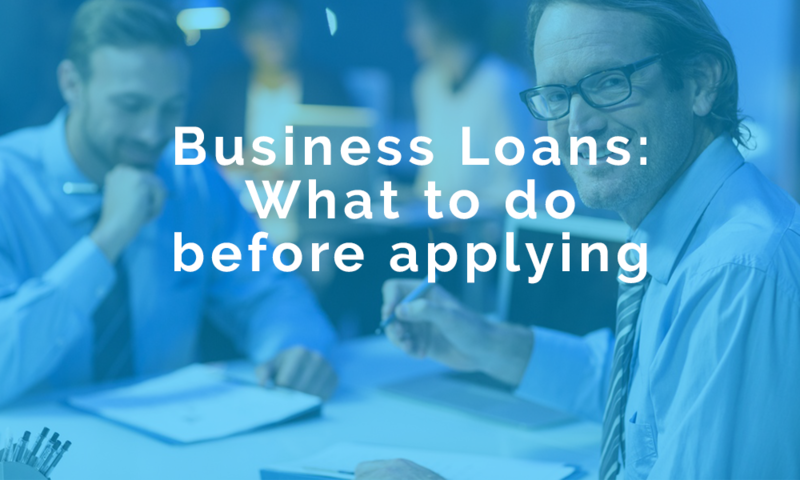 This is particularly important when applying for the crown jewel of business financing – SBA Loans. Missing out on growth opportunities due to lack of capital can be expensive and frustrating. However, not all growth opportunities are profitable. In many cases, getting access to financing necessary can be more expensive than missing out on the opportunity. Crunch the numbers and be sure that your company will conservatively be able to service the debt. If not, you will find your business in a sticky situation. To comfortably pay your loan back each month, your total income should be at least 1.25 times your total expenses.